The Pennsylvania Liquor Control Board is auctioning off several bottles of these four whiskeys. Ye of simple taste, read elsewhere. The culture of whiskey is strong, spawning frequent tastings, clubs and societies, tools like ice cube trays with intentional shapes and even scientific studies to confirm the proper way to drink it. Naturally, with a popular hobby, aficionados are willing to invest money into their passion. But would the most ardent whiskey lovers be willing to drop a stack of Benjamins for just one bottle? In Pennsylvania, they'll have the opportunity. 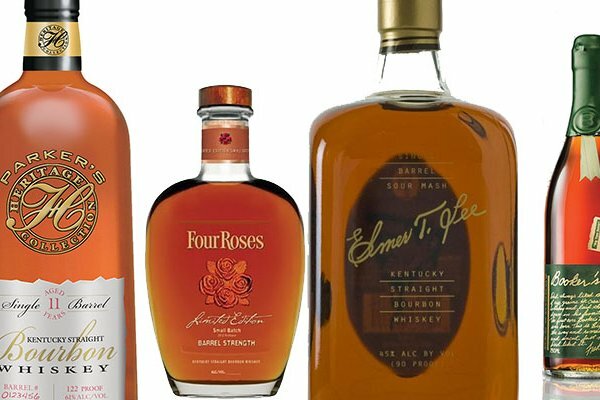 Through a lottery, the Liquor Control Board is selling "three different, highly sought-after bourbons and a rye whiskey." The priciest of the four is the rye whiskey, Booker’s Kentucky Straight Rye. Only 12 bottles are being made available – nine for individual customers and three for establishments with liquor licenses. If you win the lottery for a 750-ml bottle, you'll pay a cool $599.99. Booker’s Bourbon is a rare barrel-strength bourbon, bottled uncut and unfiltered. But you obviously know a good bit about bourbon, because you don’t end up here by mistake. We don’t advertise. We don’t do social media. We just do bourbon. We focus on the sweet spot. The center of the rackhouse where the temperature and humidity stars align to create the deepest and most intense flavors. Once it’s aged to perfection, which always varies, the liquid is bottled uncut and unfiltered. We don’t add, we don’t water down, and we don’t apologize for it. For some people, it may be too much. But for true bourbon fans, it’s probably the best ever. When it comes specifically to the limited-edition rye whiskey that the PLCB is selling, the reviews are glowing. The Whiskey Jug wrote: "Across every sense it’s rich and full – packing dense layers of sweet and rustic aromas and flavors into every sniff and sip. This is the kind of beautifully structured whiskey that rye lovers like myself search for and it all stemmed from a well crafted experiment." • 101 bottles (76 for individual consumers, 25 for licensees) of Four Roses Limited Edition 2017. The 2017 edition is a blend of 15-, 13- and 12-year-old bourbons bottled at a 108-proof barrel strength. The retail price for each 750-ml bottle is $124.99. • 120 bottles (90 for individual consumers, 30 for licensees) of Parker’s Heritage Collection Straight Kentucky Bourbon Whiskey 11th Edition, a 11-year-old bourbon at 122 proof. The retail price for each 750-ml bottle is $139.99. • 432 bottles (324 for individual consumers, 108 for licensees) of Elmer T. Lee Straight Bourbon Whiskey. This single-barrel whiskey is bottled at 90 proof. The retail price for each 750-ml bottle is $37.99. In order to enter the lotteries, you must be a Pennsylvania resident and 21 or older. You must also provide a Fine Wine & Good Spirits store address. The deadline to register is by 11 p.m. on Saturday, Feb. 17. Winners will be chosen at random and notified by email. In order to register, click here.